In Hawaii, what high school you graduated from is often among the questions asked when you first meet someone. Public versus private, old versus new, town versus county, island versus island – some high school rivalries continue well into graduates’ old age. The Images of Old Hawaii website periodically publishes articles about various high schools around the state. We will post links about these Hawaii high schools on their website periodically. 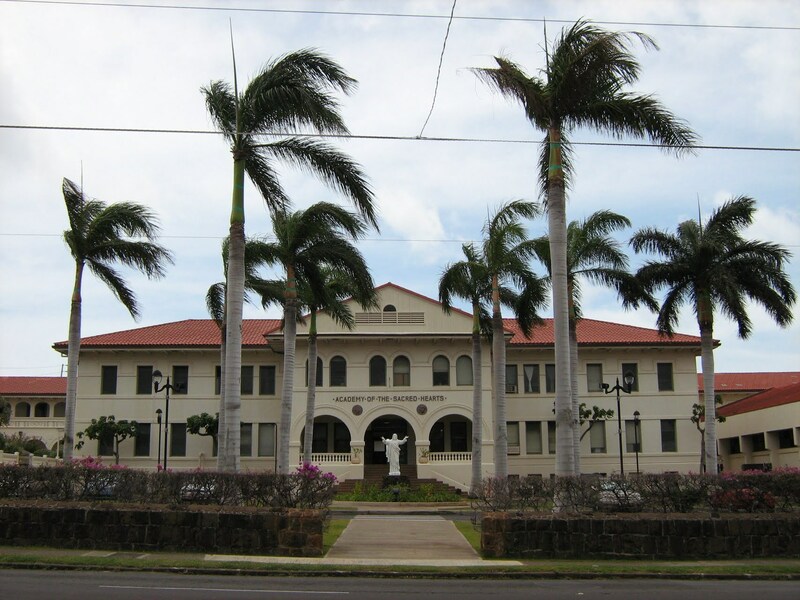 Between 1906 and 1909, representatives of the Catholic community acquired a five-and-a-half-acre tract of land on the makai side of Waiʻalae Avenue, just off the streetcar line in the growing suburban area of Kaimuki. Hawaii National Guard graduates include: Roxanne “Rocky” Bruhn – can you name others?